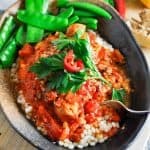 These Slow Cooker Moroccan Chicken Thighs is spicy, punchy, and filling with rich tomato sauce flavoured with garlic and ginger. 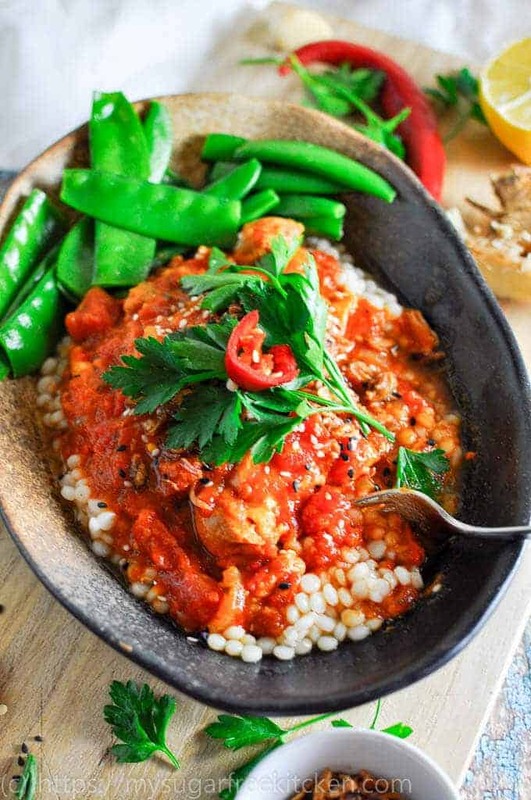 Get it started around midday, and smell the aromas wafting through the house through the afternoon into the evening as you sit down to tuck into rich, vibrant, full of flavour Moroccan spiced chicken in a thick punchy tomato sauce. There’s nothing like it and it is an explosion in your mouth! I have been making moroccan chicken thighs in the slow cooker for the last four or five years, and it never gets old. It’s an old time favourite and its one of those comforting recipes I often pull out when I’m feeling like I need a giant big hug of goodness! I often have this dish with gremolata, although I didn’t have all the supplies on hand this time but it was still awwsommee! If you do get the chance to make this dish and fancy a bit of zingy tang to go with your spicy chicken, I highly recommend mixing up some gremolata and spooning it over just before serving. Gremolata is made from preserved lemons, garlic and parsley. So, you’d finely dice half a preserved lemon, crush one or two cloves of garlic, and finely dice some fresh parsley (the big leaf parsley, not the curly one). Mix the three together and voila! You have gremolata and it is amazing in spicy chilli and Moroccan dishes. You can buy a jar of preserved lemons from most Delis. TIP 1: This dish freezes really well. 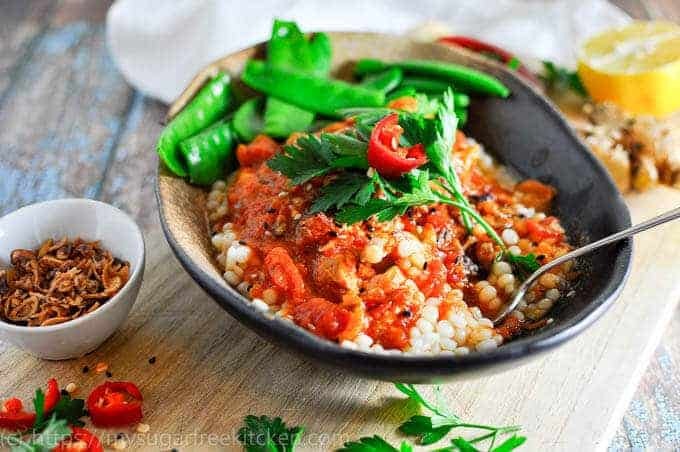 I often make a big batch and freeze in single serve containers (without the cous cous) so I can pull it out during the week and make up a side to go with it. 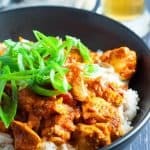 It’s so easy, and I love that I don’t have to think much about what I’m going to eat when I’ve had a big day at work and just want to chill out and relax! 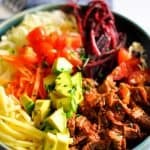 TIP 2: If you don’t have a slow cooker, you can still make this recipe in the oven. Make the recipe as below and then bake in the oven for 60 to 70 minutes at 180 degrees C/350 degrees C. Make sure to use a casserole dish that has a lid and when cooking in the oven, ensure the lid is firmly. 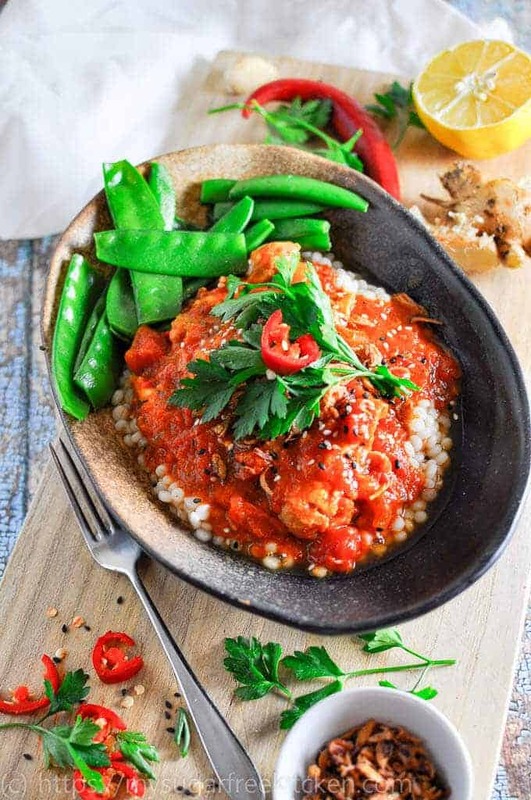 If you’re like me and you love a bit of spice in your dishes, check out my One Pot Spicy Moroccan Fish Stew, or my delicious crunchy coasted Spicy Paprika Chicken Thighs – this is my version of healthy fried chicken, without the deep frying or the oil. And there is these hands down best meatballs I’ve ever made, Slow Cooker Moroccan Beef Meatballs. Packed with tomato goodness, this is a rich and warming casserole perfect for those cool nights. 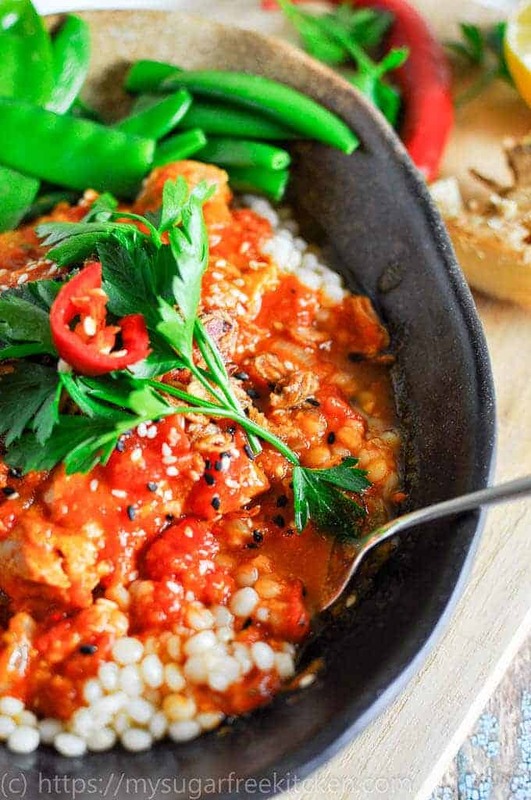 Full of flavour, this clean eating dish packs a punch and will leave you wanting more. And since it is less than 400 calories per serve, why not! Preparation: In a medium size freezer bad, place the plain flour and 2 tablespoons of Moroccan seasoning. Toss and coat the chicken and then shake off excess. 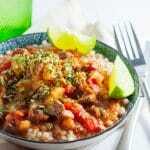 Cook in your Slow Cooker on low for 6 hours and serve with pearl cous cous, green beans, and a slice of lime. Garnish with chopped parsley. 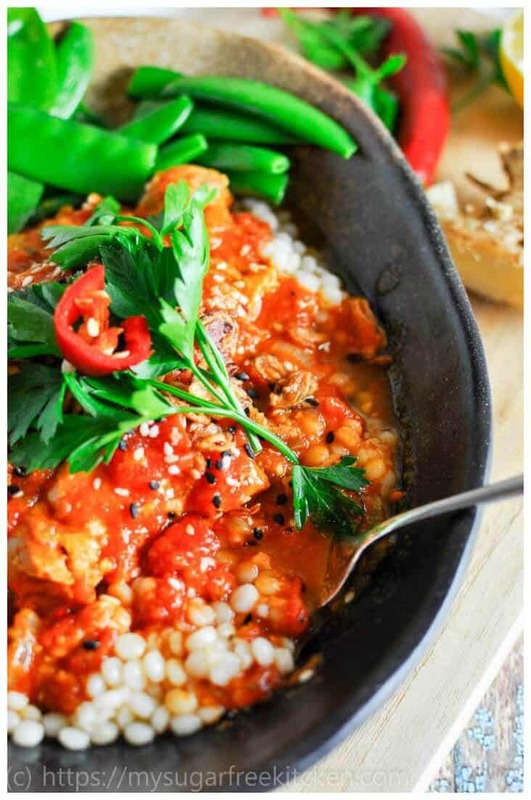 Alternatively, you can cook in the oven for 60 to 70 minutes at 180 degrees C/350 degrees F.
If you don't have a slow cooker, you can make this recipe using the same preparation method on the stovetop, and then bake for 90 minutes in an oven at 180 degrees C.
If sauce is to liquid, add a tablespoon of cornflour mixed in a tablespoon of water and add to the sauce. Stir to thicken.